Our experienced chef carefully selects ingredients and cooks them to bring out the natural flavor. 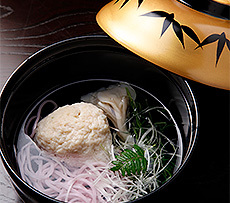 Our authentic Japanese cuisine will delight you. 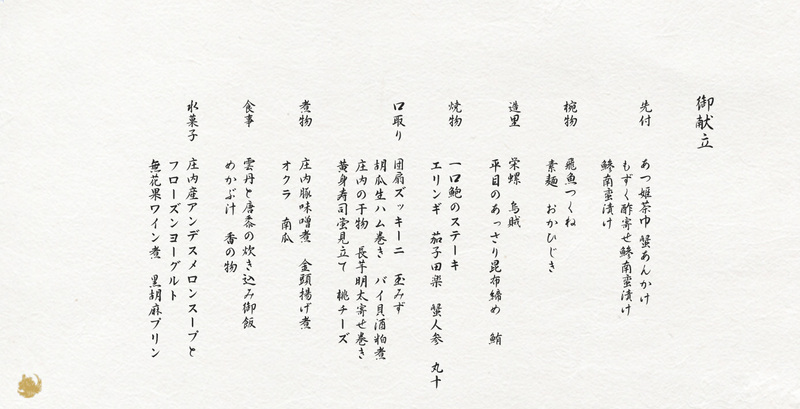 View, smell, taste and bless the gifts from the sea and the mountains of Shonai district. *Meals we serve may not be the same as the images. 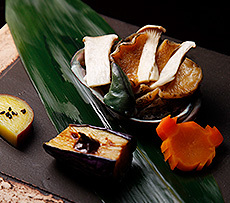 Our special HOURAI Kaiseki course is exclusively served to you staying at the top floor “HOURAI”. 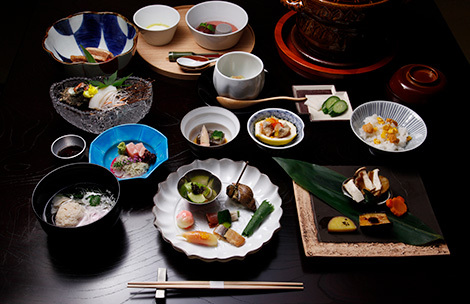 Dishes are created with our local ingredients; seafood from Shonai beach, vegetables from selected farms in our neighborhood and high quality meat in our prefecture Yamagata-ken, Japan. Enjoy this rich and colourful expression in the comfort of your room. 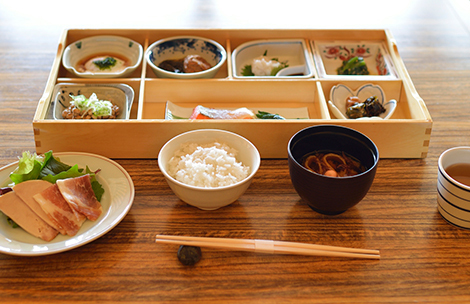 Since Kameya is a Japanese-style inn, breakfast is prepared from mixture of our healthy local food and is perfect to start the day.